KEEP ON HUMMING is photo documentary a documentary about life in the refugee camps and the tireless work of the Hummingbird Project volunteers between Oct 2016 - April 2016.I am most thankful to one of my favourite musicians Fantastic Negrito for the permission to rewrite his Lost in a Crowd song and adopt it for the documentary, and very proud of my friends and Brighton musicians CMD/Ctrl and Sharon Lewis for giving their time and talent to record the song. Keep On Humming from Jeta B on Vimeo. 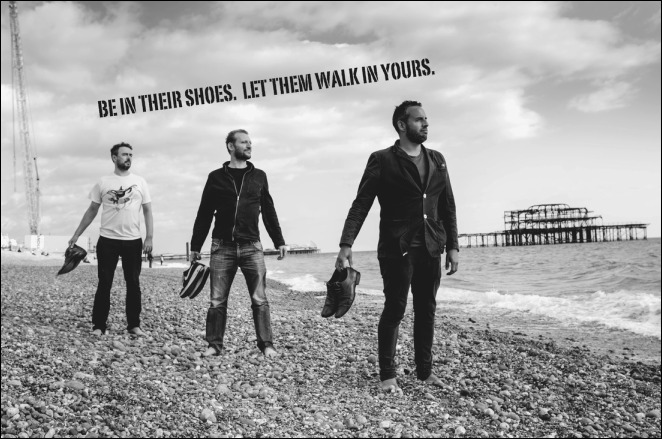 BE IN THEIR SHOES is a Brighton based solidarity campaign raising awareness about life in Calais and Dunkirk refugees camps. Telling stories through the shoes of volunteers its goal is to document refugee crisis while supporting Brighton-based fundraising and donation campaigns. ONE EYE was a campaign to fundraise for I CHALLENGE MYSELF, a not-for-profit helping young people lead healthier and more productive lives through fitness challenges and leadership development. Through ONE EYE storytelling stories, the campaign showed how nutrition and cycling program of I CHALLENGE MYSELF was changing students’ lives, with ONE EYE on health and ONE EYE on development.